This magnificent residence, built directly on the beachfront is ideal for seclusion and endless relaxation, with private swimming pool, garden and two entrances. 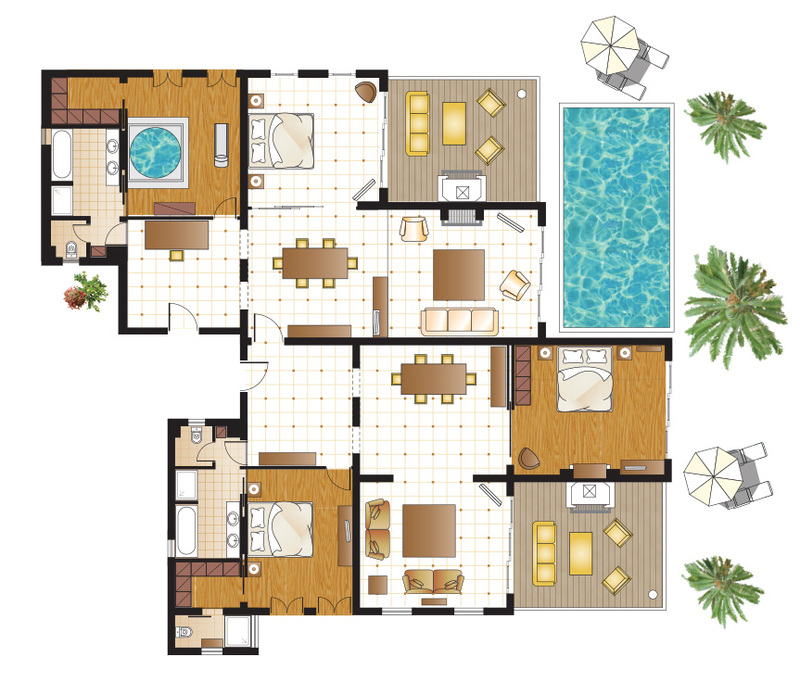 Layout: Three Master Bedroom Suites. Separate living and dining areas. Separate outdoor living area. Two entrances. Bath: Two en-suite bathrooms. One extravagant marble bathroom with imposing Jacuzzi bathtub for two, two wash basins, bathtub and separate shower cabin. One marble bathroom with two wash basins, bathtub and separate shower cabin. Separate WC.